What are OEM are Compatible Toner & Ink Cartridges? When it’s time to reorder ink and toner cartridges, do you reflexively order name brand — Brother cartridges for your Brother Printer, HP ink for HP machines? Not so fast. You could save a lot of money by choosing what are known as compatible toners and ink. Of course, you’ll want to weigh the costs and the benefits. We’re here to help with our guide to OEM and compatible toner and ink. OEM stands for “original equipment manufacturer.” OEM printer cartridges are manufactured to fit the specifications of your machine. 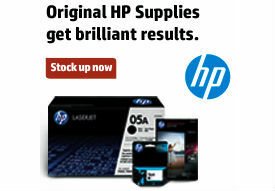 So if you have a HP printer, the OEM replacement will be an HP printer cartridge. They are comparatively expensive and contain the highest quality inks and toners. Compatible Toner & Ink Cartridges: lowest price, eco-friendly, quality prints. 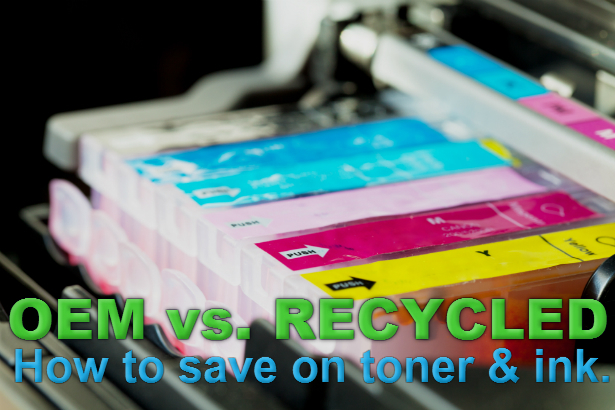 Compatible toner and ink cartridges are carefully recycled & refilled OEM printer cartridges. They cost much less to produce, so they are cheaper than OEM cartridges. Plus, most used toner & ink cartridges end up in landfills. Recycled toner & ink rescues empty cartridges from the landfill for another round of use. Now, don’t let the words “cheaper” and “recycled” scare you, though. Compatible toner and ink cartridges are carefully engineered, and the resulting print quality is just fine for most business applications. You can find more information on print cartridges in the Inkjet & Toner Printer Cartridge Buying Guide at OnTimeSupplies.com.